Up until recently I had never even heard of Nanoc. I stumbled upon this gem of gems (pun intended), while searching for a well documented static site generator with on-going support and a live community. Nanoc has both in abundance and after checking out their up-to-date and aesthetically pleasing documentation, I quickly grew to like this extremely easy to use static site generator. 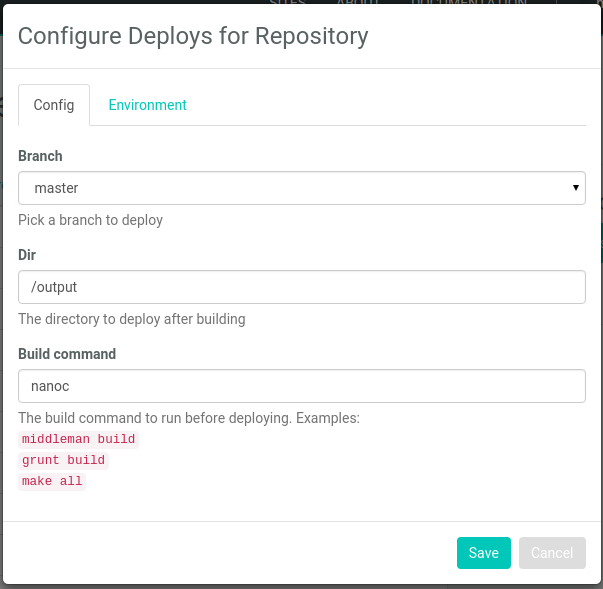 In this little guide, we will set up Nanoc and check out its site generation abilities and once we’re up and running locally, we will push the project to GitHub and deploy on Netlify with continuous deployment. If you already have a Nanoc repository forked on GitHub and you just wish to connect with Netlify, you can skip the majority of this guide and scroll down here instead. On the other hand, if you have Nanoc running locally, but need some guidance getting it pushed to GitHub, before you deploy to Netlify, start here instead. Finally, if you want to try check out our small Nanoc tutorial before linking up with GitHub and Netlify, simply continue this guide. Please note that this guide assumes you have Ruby 2.1 and up, RubyGems and Bundler installed !! For information about installing and handling Ruby with Bundler please see this documentation. 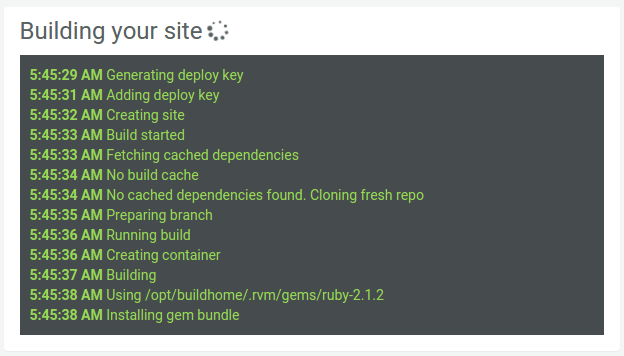 Instead of installing Nanoc gem by gem, we’ll set up the site with Bundler and a gemfile from the beginning, to specify what gems we want to install, all in one file. Simply substitute my-site-name with the name of your site. We used the name nanoc-demo for our demonstration. Before you compile the site or do anything, make sure you have Bundler installed! Using the command bundler -v will let you know what version (if any) is installed. This will create a gemfile, in which we let Bundler know which gems and what versions of these gems we wish to install with our Nanoc site. This will ensure that nanoc version 4.0 is installed along with kramdown and finally adsf, which we need to view our site live (it’s basically to enable the bundle exec nanoc view command). It’s quite possible to compile without Bundler, using e.g. the nanoc compile (or even the short hand notation, simply nanoc) and the site will be build. However, it is recommended that one uses Bundler and that is exactly what we intend to do, following up on the last step. It will build the site, bar any errors and let you know how quick it all went down. This will open the site up for view in your local browser here. The nanoc.yaml file is a good place to see how powerful the Nanoc static site generator is. It’s well documented with comments and full of various settings and other goodies. I recommend reading it through, though we won’t change anything in it for this particular guide (the default settings will suffice). For our kramdown gem to work properly, we need to let Nanoc know we changed the default language from HTML to markdown. To do this we need to open the Rules file found in the root of your Nanoc site and then we need to edit the compilation rules found herein, to take markdown files. Did that sound complicated? Don’t worry, because it really isn’t! Editing compile and route rules in a Rules file is actually quite easy, but on top of this, the people behind Nanoc have anticipated our switch from HTML to Markdown and thus in our Rules file we find that the compile rule for Markdown using the kramdown filter, has already been written, it’s just commented out. Normally we would also need to set up a route rule for the .md or markdown files, but again the fortune tellers behind Nanoc have anticipated our move and the markdown files are already added to one of the existing route rules. If you’re using kramdown like us, simply use the above in your Rules file and if you’re using HTML, there’s nothing to edit (as that’s the default). However, if you choose a third option, check out Nanoc’s documentation on rules here. In the file and folder tree above, there are some distinct folders and to create content and customize the layout, it’s important to know what goes where and why! In Nanoc we use the term layouts instead of templates and these all go in the layouts folder. The content we’re creating goes in the content folder and here you’ll find the landing page and a stylesheet, ready for editing. Then there’s the lib folder, which contains custom Ruby code and the output folder to which the static site will be written. Of the files, its worth noting that nanoc.yaml contains site-wide configuration details and that the Rules file is used by Ruby to describe how pages and assets will be processed. To distinguish our new basic Nanoc site, we’ll start by editing the two files it comes with as default. We take the index.html file and change its extension to reflect that we’re using markdown instead of HTML and it becomes index.md. In the content I remove any HTML tags and instead I insert some sample markdown text content and change its title. Take note that this file only contains the content of the page and none of the layout. I’ll fill the index.md file in as seen below and I suggest you do something similar. The title in the YAML front matter is important, but the text outside the YAML front matter you can fill in as you want to. This page is mainly created to demonstrate a basic Nanoc site, with assets hosted on GitHub using Netlify to deploy in continuous deployment. I wonder if the title above will render in the proper size and font. As you can see we’re simply adding sample text to check the format and layouts of the site, as the next stop is — you guessed it — we’ll fiddle with the layout. We’ll follow the advice left for us in the original landing page and change the layout. The default.html file in the layouts folder is where you can set up the layout of your page, using HTML and eRuby instructions. Nanoc has build in support for Haml and Mustache as well and it’s possible to add support for other layout engines rather easily using filters (as we did with markdown in the Rules file earlier). You can either leave the default.html alone and check out the basic site (which comes with additional links and documentation) or you try something out yourselves or use our slightly modified default.html content as seen above. We’ve just changed the sidebar links to link to Netlify, Nanoc and GitHub, but feel free yo try out some eRuby or one of the other layout languages. If you want more information about layouts in Nanoc, head over to Nanoc’s excellent documentation on layouts and partials here. To test that our changes were made properly, we’ll do a final build and a view, before setting up GitHub. The commands will build your site and offer it up for view at http://localhost:3000/. Take a look and see if the changes worked as expected. As is obvious, Nanoc is lightning fast and incredibly easy to get up and running with some basic content, as it comes with a file structure with some rudimentary content pre-installed. We’re ready to set up the local site with an online GitHub repository. We’ll set up a GitHub repository to hold our assets, before we connect and deploy on Netlify. 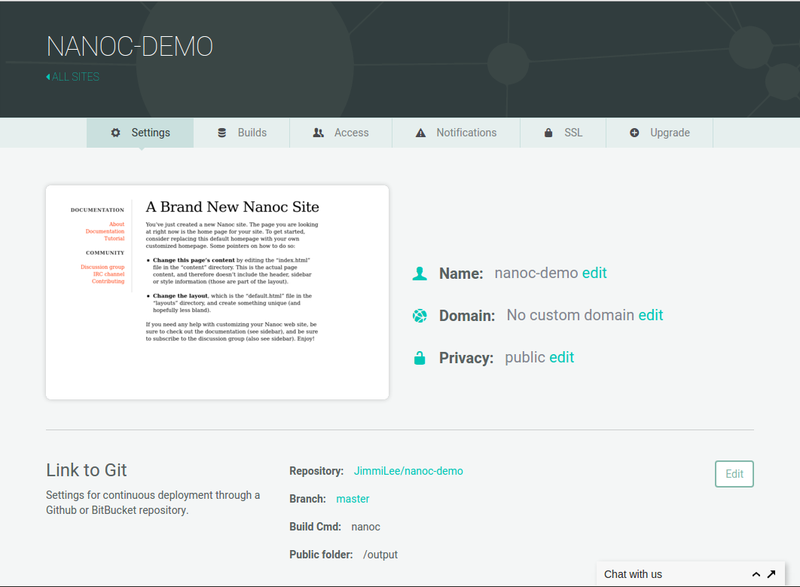 Start by opening up GitHub and create a new repository for your Nanoc site. We’re naming our site nanoc-demo and we’ll skip adding files to the repository until after its creation, as this can sometimes create problems (The README, license and gitignore files). 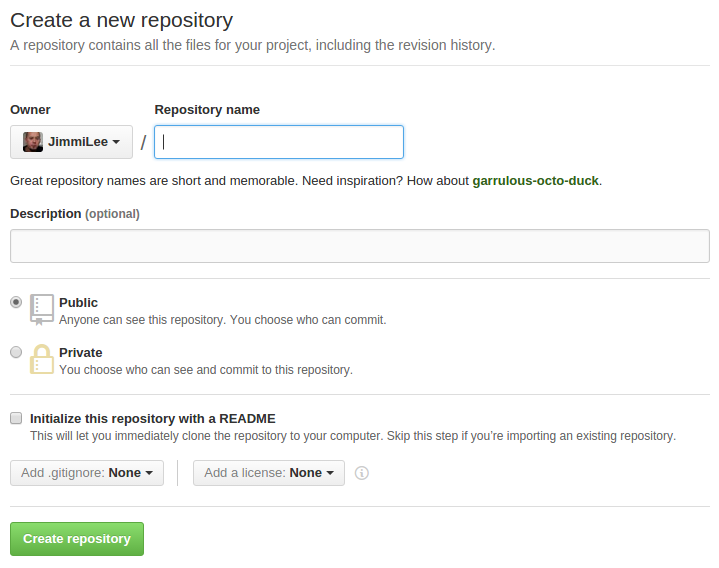 As you’ll see once you create the repository, GitHub provides very good documentation on what to do next. Basically there’s no need for us to push the output content online and the same goes for the temporary file directory and the crash.log file. Adding them to the .gitignore file makes Git ignore them and leave them behind on your local machine. We’ll initialize the local directory as a git repository with the following command: Before we push (copy the files to our new online repository) the files online, we need to prep our local site and you need to have Git installed for this. All your files will be copied by Git to your online repository. Once it’s finished, take a look at the repository online to check if everything went according to plan. Now we’re ready to connect your repository to Netlify. We want to connect our GitHub repository with Netlify, so that Netlify can build the site, whenever we push changes to our online repository — this is what’s meant with continuous deployment — as soon as you’ve pushed changes to GitHub, Netlify will rebuild your site, to reflect these changes. If you haven’t got a Netlify account already, head over and make one — it’s completely free of charge. 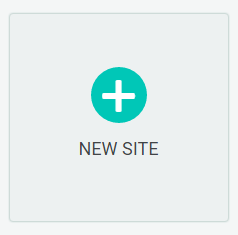 Click the “New Site” button to get started. 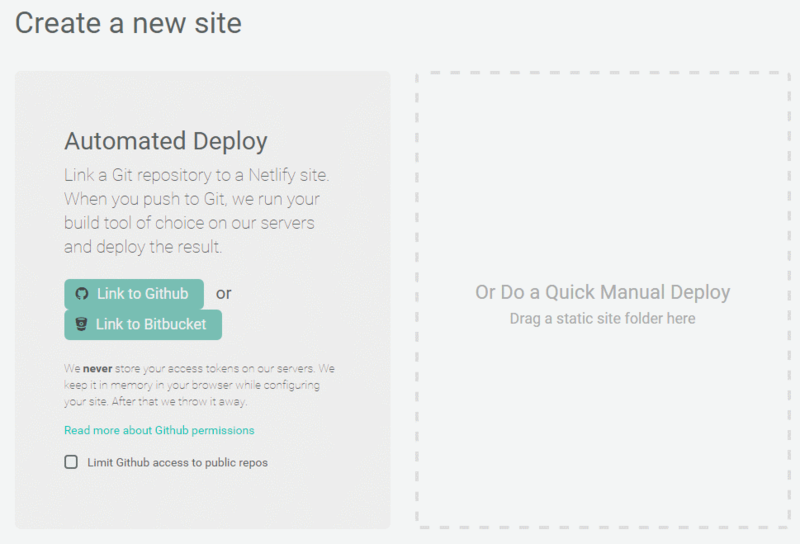 Next you’ll be brought to this screen, where you can choose between manual deploy or linking to GitHub or Bitbucket - we’ll link with GitHub for this demonstration: When you push to GitHub, Netlify does all the work. No more wasting time on manual deploying of updates or changes! 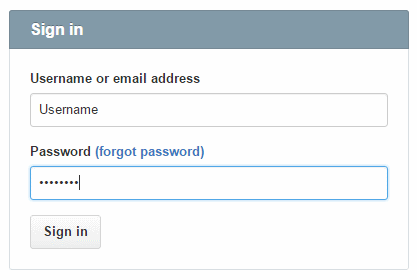 To link Netlify with GitHub click the button “Link to GitHub”. You can skip this step or rather it will be skipped automatically, if you already have an account with Netlify set up to automatically login! 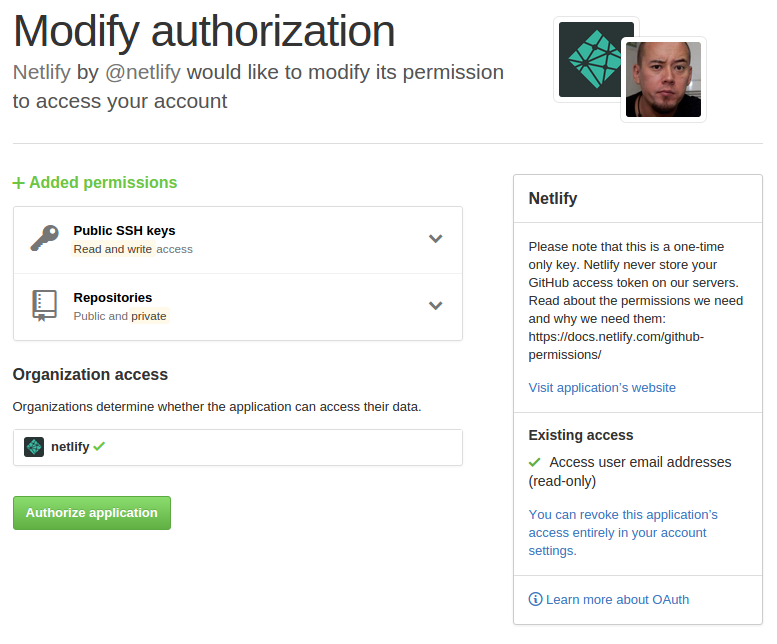 Like stated in the image above on the right, Netlify doesn’t store your GitHub access token on our servers! If you’d like to know more about the permissions Netlify requests and why, you can check out our documentation on GitHub Permissions. Once you’ve connected Netlify with GitHub, you will be shown a list of your GitHub repositories, as seen below. For the purpose of this tutorial we’ll select the “nanoc-demo” repo we just pushed to GitHub. You shouldn’t have to do anything, Netlify has actually done it for you. Click the ‘Save’ button and watch the magic unfold. The first time, assuming you haven’t added copious amounts of content, Netlify will build your Nanoc site very quickly. A console will let you know what’s happening along the way. If you don’t want to wait, simply do something else and you can always return and check the log file later, since Netlify will keep the log of each build. 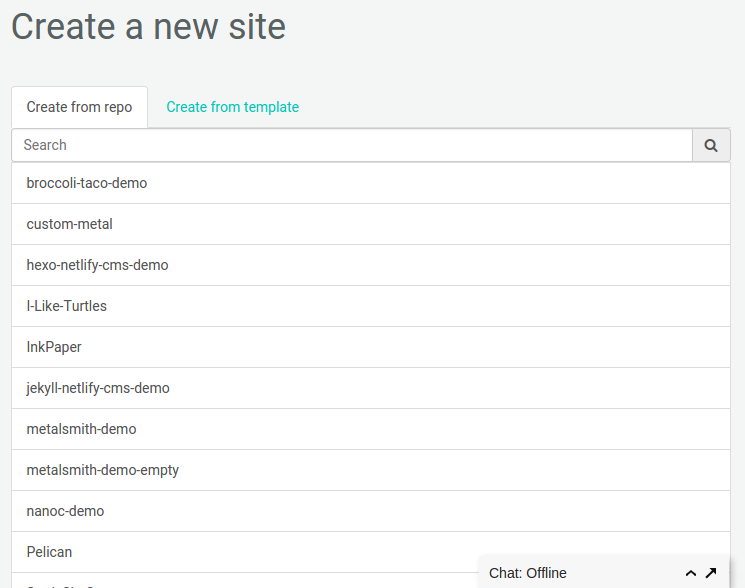 Once Netlify has build your site, it will assign a random name to it and you’ll be presented with the site and the control panel for the site, ready for additional customizing. You can see our demo site here and the GitHub repository for our demo site here.